You’ve Got Skills! How Do You Want to Use Them? There are many excellent, other-directed, and altruistic reasons to volunteer: you know that already. How about a cravenly self-serving reason? Volunteering can teach you to apply your excellent communication and problem-solving skills to the needs of an organization. Whether or not you end up with a useful line for your resume, you can learn more about the contributions you are specifically suited to make to any kind of organization. Do you prefer working with people or things? Do you like to be out front and center with an organization, or do you work better behind the scenes? Are you better working with others one-on-one, or do you thrive in a team or group setting? Are you better at helping an organization raise money, or helping an organization figure out how to spend it most effectively? Volunteering can help you get answers to these kinds of questions. Knowing these things about yourself can help position you for the job you want after graduation. 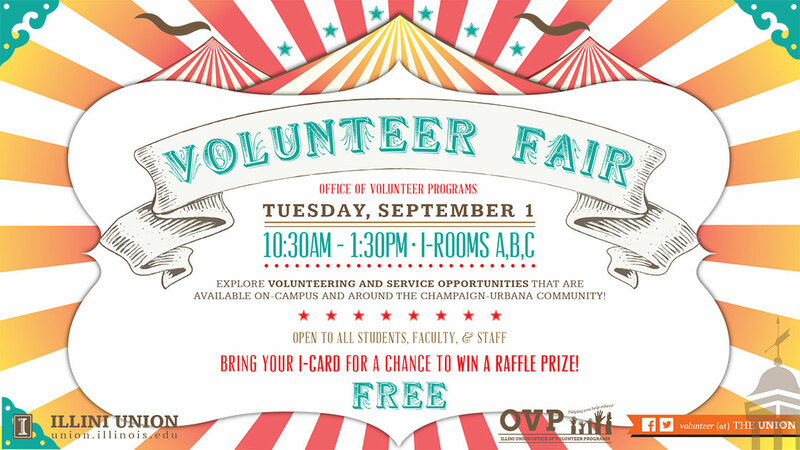 The Volunteer Fair takes place Tuesday, September 1, from 10:30 to 1:30 in I-Rooms A, B, C, at the Illini Union. consider attending this fall’s Business Career Fair, September 16 and 17 in ARC. 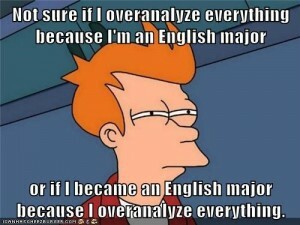 No, it’s not just for business school majors. That means you: readers of these blog posts. Many of these employers offer abundant information about the kinds of positions they’re seeking to fill–internships or full-time jobs, short-term or entry-level training programs or specific positions. These descriptions are worth reading carefully to figure out what you might be eligible for. Just because you’ve never heard of it doesn’t mean you can’t do it. “Inventory management”? Go to their website to learn more. NO ONE is looking specifically for English majors–but many companies are looking for people who can communicate effectively, make sense of complex information, and work in team settings with other people. These are all skills you practice in your English classes. Interested, but not sure how to make it work? 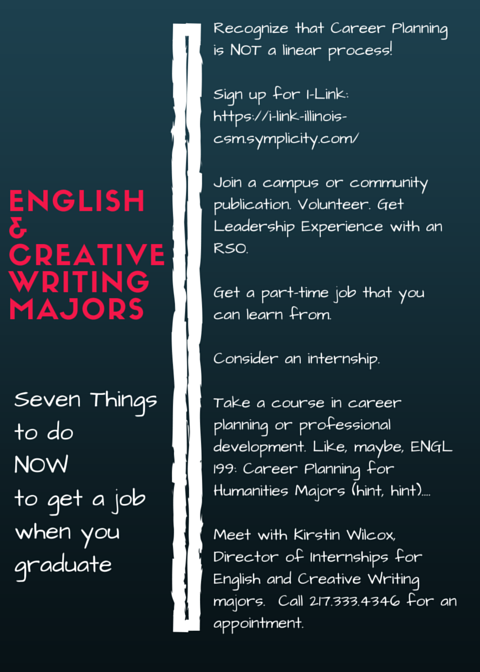 Come to “What Can You Do with an English Department Major” on September 10, 4:30 – 6:30 in EB 119. English students who have survived the Business Career Fair and lived to tell the tale will be on hand, and you get helpful advice on marketing your skills (yes, you have them!) there, and in other settings. 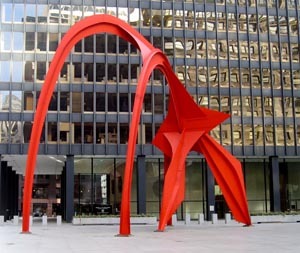 The date has just been set for the 2016 Arts Administration and Non-Profit Career Fair in Chicago, hosted by the College of Fine and Applied Arts: February 5, 2016. For students and employers interested in running arts organizations, theaters, galleries, museums, and other Chicago area non-profits. Connect through opportunities in arts education, collections, development, marketing, outreach, event planning, audience development and more. Stay tuned as the day draws nearer for information on place, times, and carpooling to Chicago.